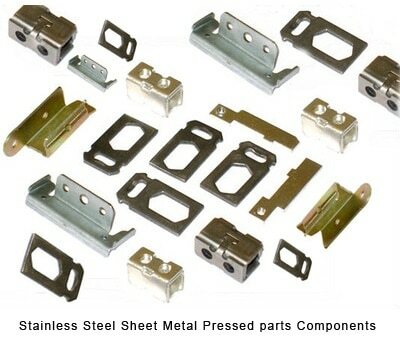 Stainless Steel Fabricated Parts: We specialize in various areas such as sheet metal fabrication, laser cutting and custom metal fabrication in Gurgaon, India. Our engineers are experienced in working on custom metal fabrication projects related to a wide range of materials, such as steel, stainless steel, brass, copper, and aluminum sheets. Our solutions range from particular sheet metal part or stamped metal parts of sub-assembly to turnkey solutions for industrial and for product assemblies. We have the knowledge, equipment and the skill to fabricate personalized metal products from steel, aluminium, zinc plated steel, stainless steel, copper and brass. Designs that have need of CNC machining of surfaces or parts can be accommodated. We can provide refined, zinc, galvanized coated or powder coated finishes for every sheet metal job or stamped metal components. together with our perfect and consistent metal fabricating equipment. We are one of the most experienced and best metal fabrication manufacturing company in India.